The British Red Cross is warning that "jobless, drunk" wasps are currently a threat since they are angrier and more dangerous than working, sober ones. With their queens fully supplied with all the nectar they need, worker wasps now have nothing to do but laze around getting drunk on fermenting fruit, according to environmental authorities. It’s hilarious that, now worker wasps have finished their life’s work, all they are doing now is feasting on fermented fruit and getting ‘drunk’. The danger for humans of course is that they may get a bit bold and attack us while we are out having a barbeque in the garden, sun bathing in the park or innocently going our merry way. 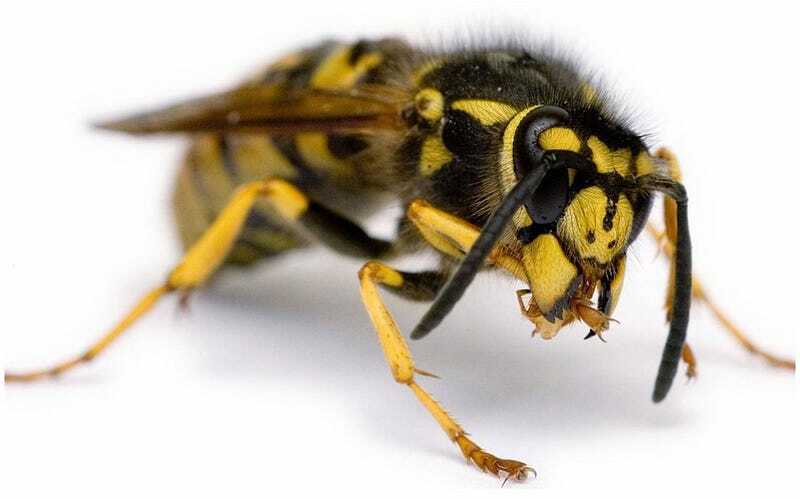 The British Red Cross advises to "keep a credit card handy in case of insect bites this summer; as the long cold winter and a late spring has triggered record numbers of wasps in UK parks and gardens."